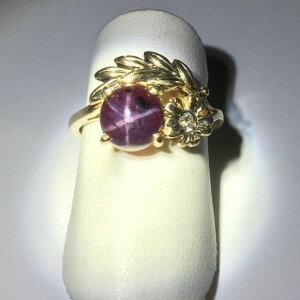 Category: Ring. 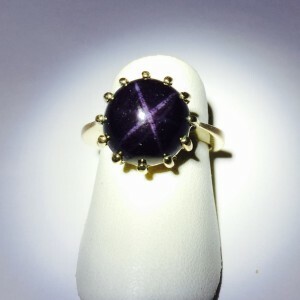 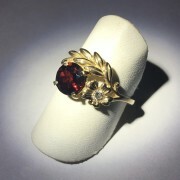 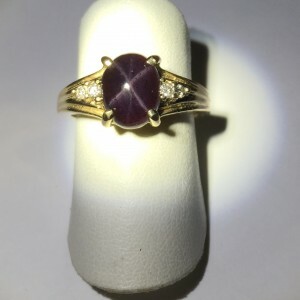 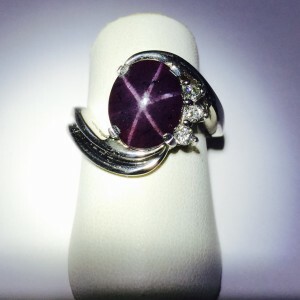 Tags: Ring, Star Garnet, Yellow Gold. 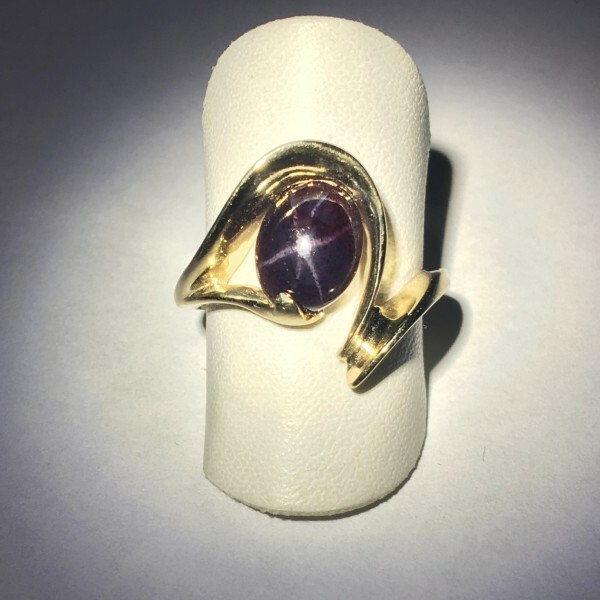 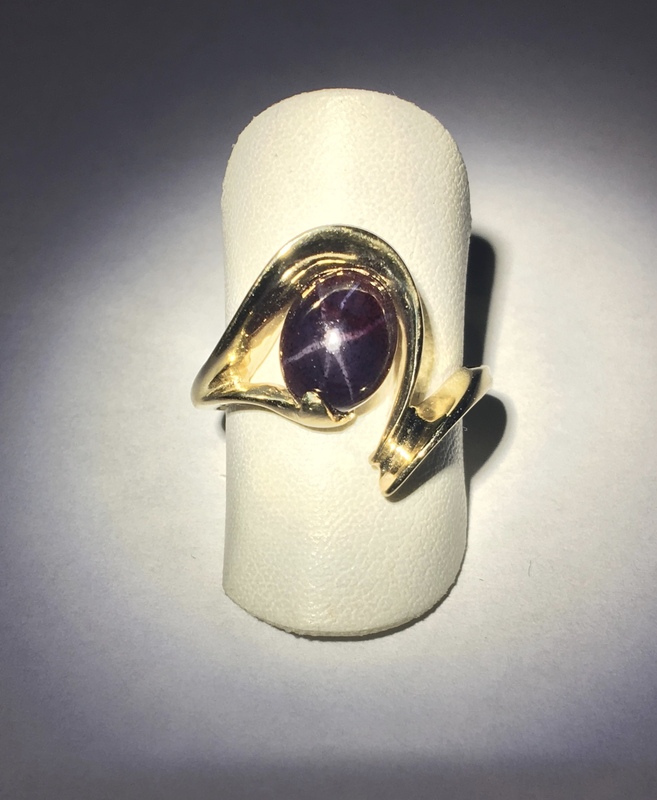 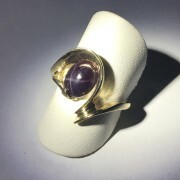 This ring has a unique look and the Stone is nice and bright. 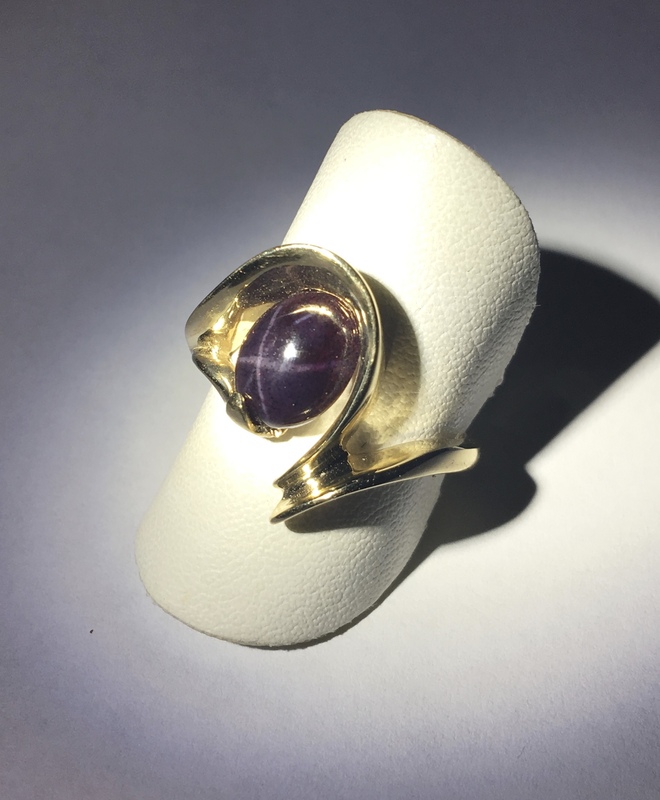 The stone has 6 rays and is set in yellow gold.